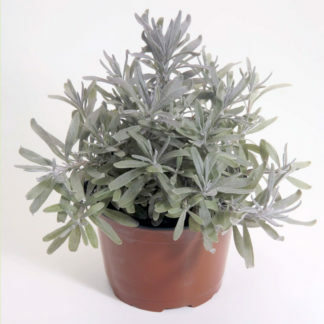 (24-28″) This True Lavender has green leaves and dark-lilac flowers. The plants are rounded and bushy at maturity. Our lavenders are the hardiest and most fragrant varieties available from seed. The plants bloom in early summer and if pruned lightly after flowering may rebloom in late summer. 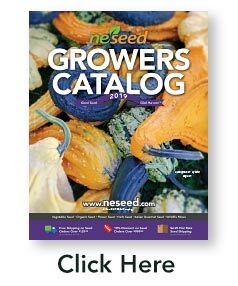 Grow in full sun in a location with well drained soil. 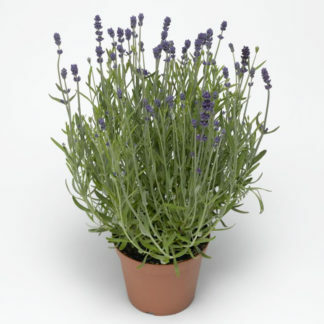 Lavender can survive cold winters as long as there isn’t standing water over the winter. Amend acidic soils with lime. 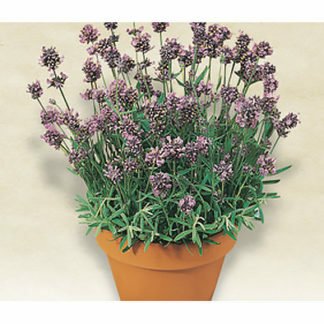 Until they are mature lavender plants need to be watered weekly in dry weather. For dried flowers harvest before they open fully and store in a cool, dry place. 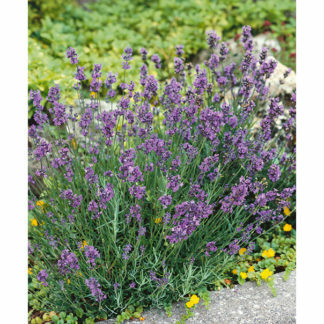 Unless otherwise noted our lavender varieties are hardy from Zones 5-9.